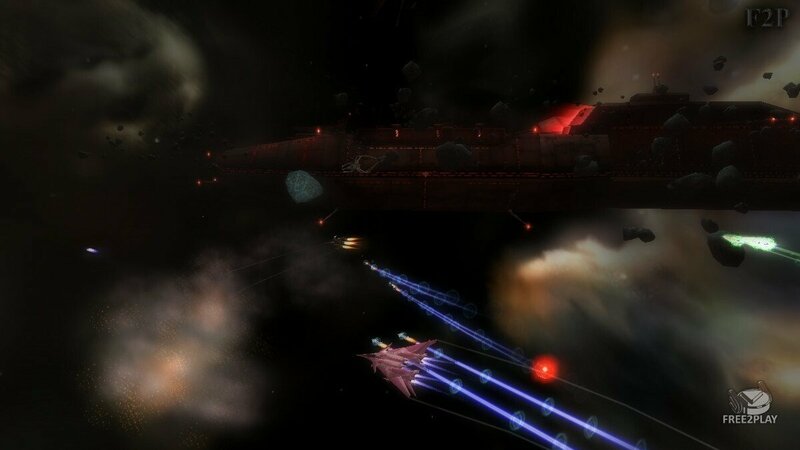 It’s an action based Massive Multiplayer 3D Space Shooter. Players can pilot their own fighter ships (also known as Gears), on a futuristic world where they can upgrade skills or the Gear itself. Gamers have full control over the Gear’s movement, making it very different from the traditional style RPG’s mouse click control method. This is a RPG, but with all the fun and action of a First Person Shooter (FPS). 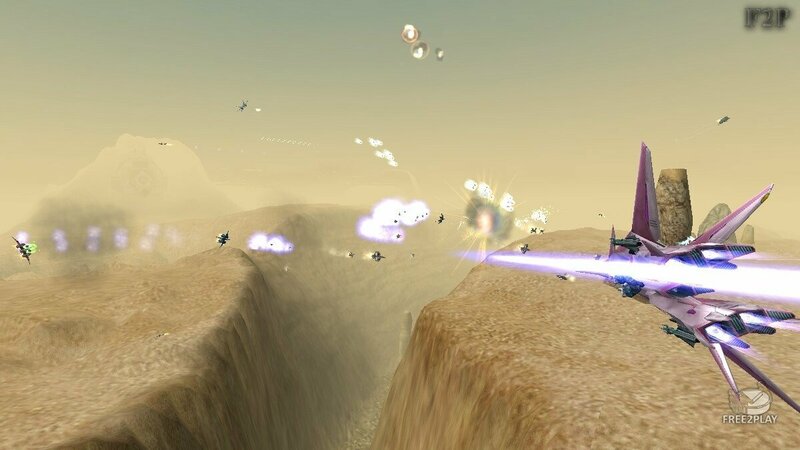 Since the background of ACE Online is based in a spacious 3D atmosphere, players need to be aware that an enemy missile can strike at any time and from any direction. The Anima Mortar, or A-GEAR, is a GEAR designed with ground combat in mind. Threatened by the impressive performance of other GEARs, the Shrines started a ruthless ground campaign. Unprepared, a new GEAR needed to be designed to accompany this threat. The Brandy Burg, or B-GEAR as it’s known by pilots is a Fighter/Bomber capable of air-to-air dog fighting as well as tactical bombing. The first production design of the modular-frame GEAR series by Next Generation Co. Ltd and it is the most balanced of all active GEARs. When tensions built up between the Deca and the Shrine over the ATUM Project, the Decan governments went ahead and started to build military aircraft. The Meadow Bugle, or M-GEAR, is primarily a support vessel. As the war with the Shrines dragged on, as well as a potential war between other Decan powers, the M-GEAR was designed as the third design in the modular-frame GEAR series. The Idle Sniper, or I-GEAR, is a GEAR designed for rapid response and long range strikes. Designed after the B-GEAR, it is the second design in the modular-frame GEAR series. As Next Generation Co. Ltd was busy producing the B-GEAR, governments went to Freeway Co. Ltd for the next new GEAR. In ACE Online there is a formation system similar to a regular party in any RPG. A maximum of 6 players can fly any formation (triangle, reverse triangle, X form and so on). The formation leader stays in the middle to move around and fight. Skills that generate from each formation are all different, depending on who participates in the formation. A much stronger formation can be achieved if all members of the group work in perfect harmony. Additionally, there is another formation system similar to a guild in any RPG, which is known as a “Brigade? There can be up to 40 people within the brigade, with the leader in the middle. By registering their own brigade mark, they can be identified from the other users. ACE Online missions are similar to quests in any RPG. 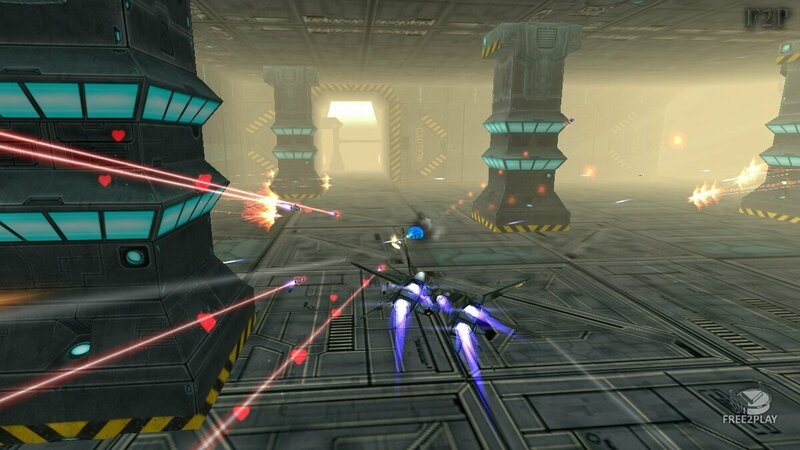 As it is a flight shooting game, there exist various intergalactic quests in large quantities to keep players entertained. These can be fought through local wars such as 1 on 1 battles, formation battles and brigade battles. It is also possible to fight with strategy and tactics where one force battles against the other in a large-scale conflict within the server. Three dimensional battles that take place in the air and on the ground will prove to be an intense experience. As a result of these battles, your nation will profit. The leader, often referred to as the “President”, is the person who exercises the right of policy, manages the economic side of the nation and serves as the Commander in Chief of the military. If one becomes a nation leader, they will receive strong authority, economic help and a chance to communicate with the other leader 1 on 1 to settle differences.